The International Day of the Girl isn’t a Make a Difference Day this year, but if you still want to mark it with your unit you can complete the WAGGGS #teamgirl challenge for 2017. This year’s focus is on the right to education of Girls around the world. Before doing this challenge you may want to review the new Advocacy Guidelines. If Girl Guides of Canada’s International Day of the Girl instant meeting isn’t inspiring you. You may want to consider WAGGGS meeting suggestion #TeamGirl. It contains 90 min worth of activities which focus on tackling global issues by working as a team. It includes team building games and follows them up by asking the girls to pick an issue they are passionate about and figure out what they can do to make a difference. A pdf with the meeting outline is found here. 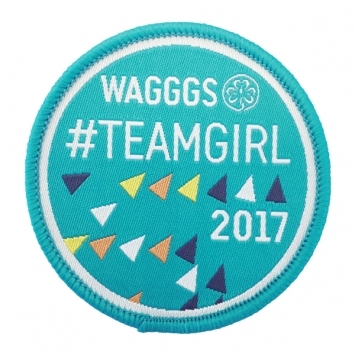 Packs of badges can be bought from the WAGGGS store. International Day of the Girl (IDG) is an opportunity to bring global focus to girls’ rights, the challenges that girls face in their everyday lives and to empower girls to make a positive difference in the world. 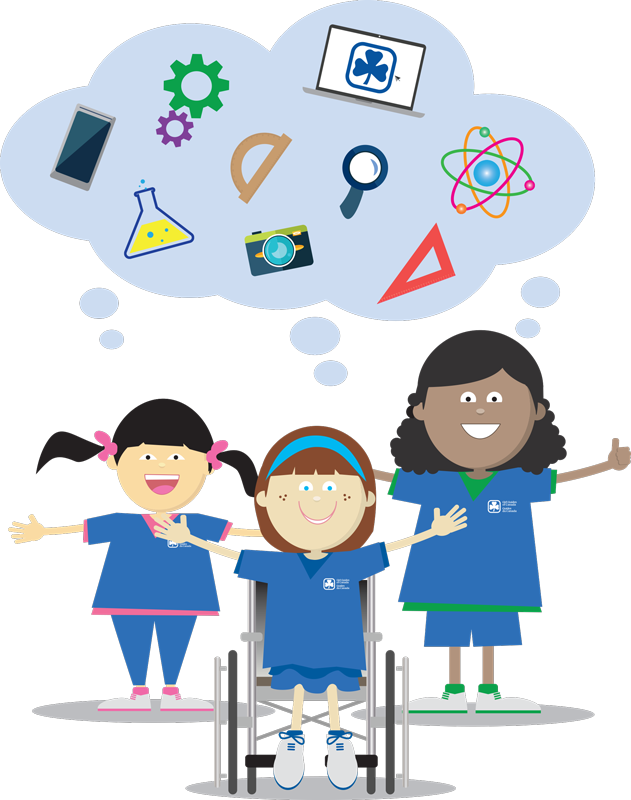 This year GGC is focusing on inspiring girls and young women to explore science, technology, engineering and math (STEM) and the opportunities that exist within these fields. This year’s instant meeting has a opening and closing activity and Science, Technology, Engineering and Math activities. Units are expected to do at least one activity from each section. On today, the International Day of the Girl, listen to this remarkable poem by Eunice Akoth from Kibera, Kenya. For more on Eunice Akoth and her life you can check out the videos at Shinning Hope for Communities. October 11th is the International Day of the Girl. The theme for the 2015 International Day of the Girl challenge is Reach Your Potential. The challenge Instant meeting includes a grab bag of different activities including careers in STEM, gender specific toys, road maps to success, and women in non-traditional jobs. It sounds like a new version of the crest is in the works for 2015 as well so if you did the challenge with your unit in 2014 or 2013, you can do it again this year. So check out the Girl Guide of Canada page on the International Day of the Girl or go directly to the instant meeting. The International Day of the Girl is the first of five dates Girl Guides is calling Make a Difference Days. Watch out for the others later this year… International Day of Persons with Disabilities (December 3), World Thinking Day (February 22), International Women’s Day (March 8) and National Mental Health Week (May 2-8).